Seray Class Apartments are located in Gumbet, Turkey and offer spacious, modern apartments that are ideal for families and couples. 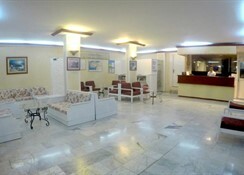 Situated on a quiet street just off the main road, in this built up tourist area of similar properties. These apartments offer comfortable and pleasant accommodation. This ideal location means you are far enough from the bustling noise of the city centre, yes close enough for the fun! 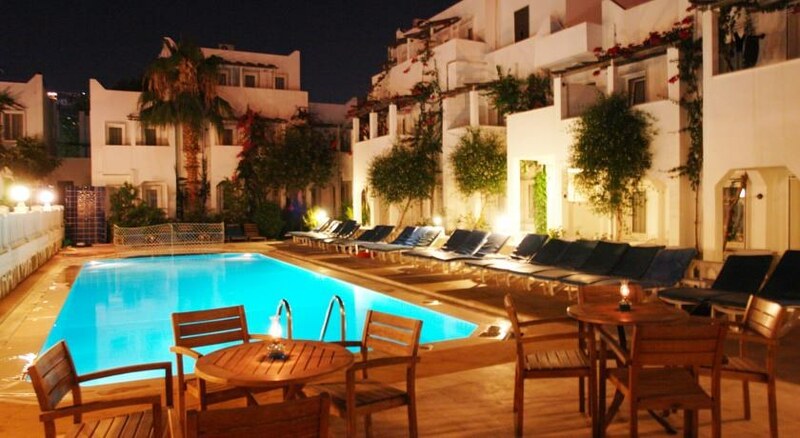 Getting to the hotel: Seray Class Apartments are 30 km from Bodrum Airport. 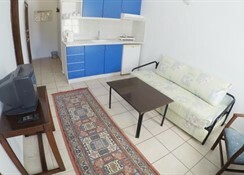 Local tips: These apartments are located just 200 metres from the centre of Gumbet and only 3 km from the heart of Bodrum. Within just a few steps you will find the beach and a street full of bars and restaurants. The Dolmus (local mini bus) runs a regular service and stops right outside the apartments. We recommend you visit Bodrum Castle (3 km away). Food, drink and entertainment: The Seray Class Apartments has an indoor and an outdoor restaurant. Both serving a varied menu of international dishes and beverages. The American Bar and Snack Bar offer light meals, snacks and beverages throughout the day. Sports, games and activities: 2 outdoor swimming pools, sky digital TV lounge, pool table and football table. For the kids: Children's playground plus there is a children's section in one of the main swimming pools. Additional: 24 hour room service, laundry service, doctor on call, currency exchange, car rental, motorcycle rental, 24 hour taxi service and transportation to and from Bodrum Airport. There are 50 apartments and all are equipped with air conditioning, bathroom with a shower, telephone, balcony with sea or pool view, satellite TV, kitchenette, fridge, tea/coffee making facilities and a hairdryer.